Summertime Appreciation Gifts: Ice Cream Gift Certificates | gThankYou! The ability to leave the office early on Friday afternoons — “summer Fridays” — is a popular perk for employees this year. But showing appreciation with schedule flexibility just doesn’t work in all businesses and industries. “For those in the hospitality, construction, recreation and outdoor industries, the summer is actually a very busy season, so these workers have no time to be distracted by the lure of lazy summer days,” according to the Daily Herald of Provo, Utah. Many manufacturers, mom-and-pop shops and other small business owners must work nonstop through the summer months, too. So what’s the best way to thank busy employees in the summer? A dental clinic office manager tells the Daily Herald says she boosts employee morale with little treats throughout the season. “It can be as simple as bringing my team lunch one day, or having a candy bar for an employee who is having a tough time. I like to do those little things as pick-me-ups,” she says. Ice cream gift certificates from gThankYou fit the bill perfectly as employee “pick-me-ups”! Everyone loves the cool treat of ice cream in the summer months, and gThankYou! Ice Cream Gift Certificates make it convenient and affordable to share this summertime token of appreciation. gThankYou! Ice Cream Gift Certificates can be redeemed for any brand of ice cream at major grocery chain stores in the U.S. Read on for why an ice cream gift is such a favorite summertime choice in the workplace! 1. Ice cream has variety! Feast your eyes on these delectable photos of the best ice cream flavors. Or these photos of the strangest ice cream flavors. From cookies ‘n’ cream to strawberry, and gelato to frozen custard, there’s an ice cream out there for everyone. 2. Nothing says summer like ice cream. It’s the quintessential summertime treat. And it’s connected to gratitude: taking someone out for ice cream is a popular way to show thanks. 3. Ice cream is fun to share (or not)! Ice cream is a food experience that’s fun to enjoy with others. 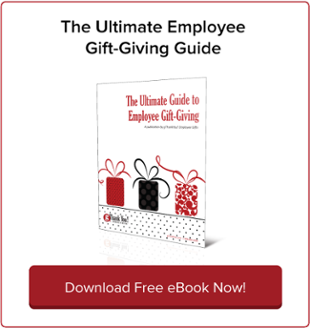 Employees appreciate a workplace gift that can be shared with family or friends. Gift certificates from gThankYou are redeemable at virtually any major grocery store nationwide. 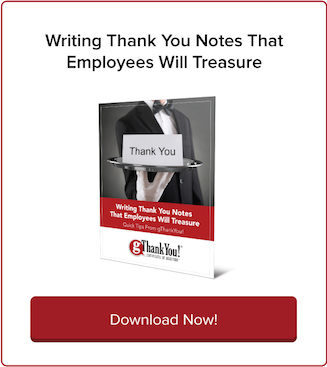 Plus, every purchase of gThankYou gift certificates come with free “Thank You” Enclosure Cards that you can customize with your company’s message of gratitude and, if desired, company logo — all free! And we offer same-day shipping. Nearly all orders are shipped the same day they come in. That means you can still have your gThankYou! Ice Cream Gift Certificates in hand and ready to hand out to employees in time for 4th of July. Place your order online, or by calling us at 844-282-8292. 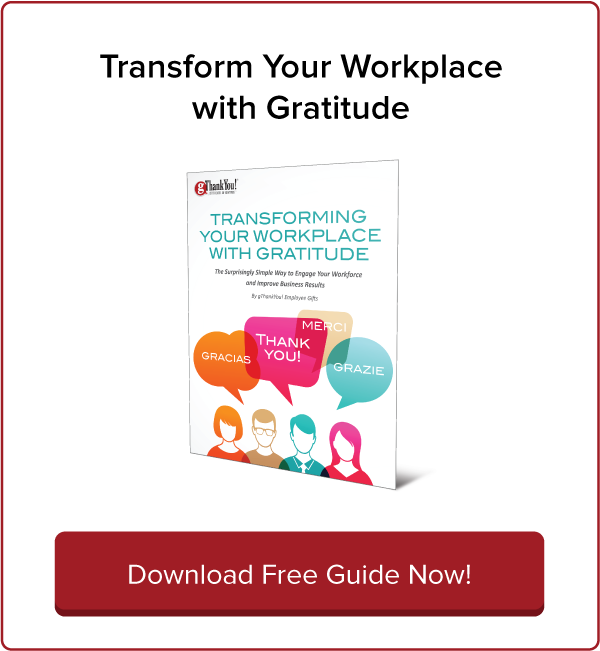 Summertime appreciation gifts is just a start to inspiring a workplace culture of day-to-day gratitude. We all need inspiration. Download yours from gThankYou today. 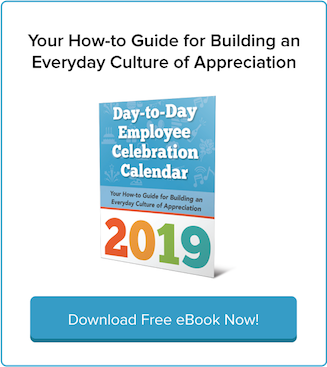 Our 2017 Day-to-Day Employee Celebration Calendar gives you the tools and inspiration to build a culture of appreciation every day of the year. Summertime is a great time to plan your busy year ahead. Be inspired; download yours today, absolutely free.